This multi-tasking, moisture-rich cleanser is enriched with powerful peptides to fight signs of ageing and reveal refreshed, soft and luminous skin. It works hard to remove impurities and troublesome make up traces but is sufficiently gentle for daily use. This revolutionary, multi-tasking cleanser from global skin care expert Jamie Sherrill tones and protects while removing impurities for fabulously fresh, super-soft skin. While it’s gentle enough to use every day, it still packs a radiance-boosting punch – removing all traces of make up and grime to leave skin feeling clean and revitalised. 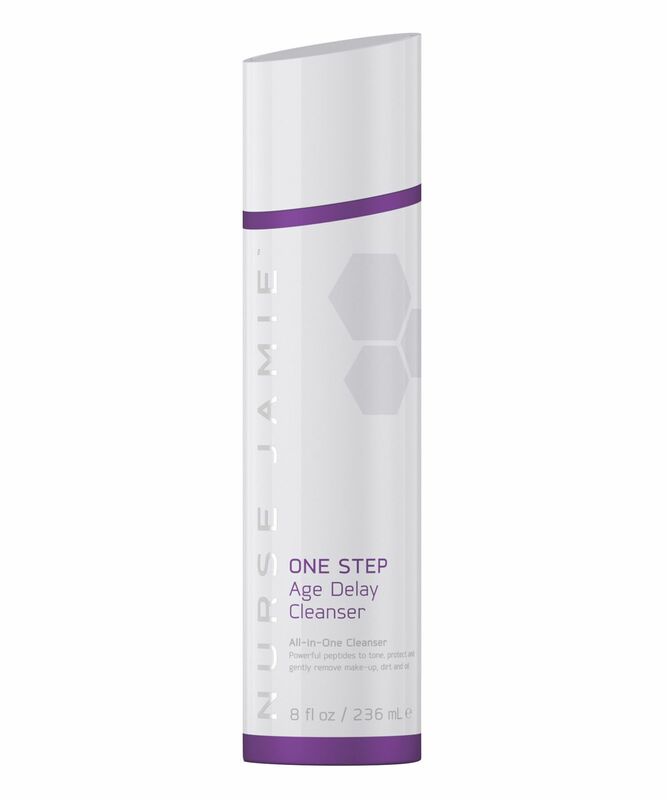 Thanks to the moisture-rich formula, enriched with shea butter and jojoba seed oil, One Step Age Delay Cleanser doesn’t strip your visage of its natural lipids (those precious compounds that are crucial to the skin’s barrier function) and, as if that wasn’t enough, the formula also contains powerful peptides – collagen-stimulating proteins – to combat signs of ageing and re-densify delicate complexions. Apply small amount to dampened face, gently massage into skin. Rinse thoroughly and pat dry. It does break up makeup and dirt nicely but it's very difficult to rinse off. I rinsed for 5 mins straight and I could still feel it on my face so I just gave up. After patting dry it leaves the skin way too soft and smooth like I just put pore filling primer on. I think it's just the effect of all the silicone and mineral oil in there. I only used it once and already decided I won't repurchase. Will try my best to use up this bottle though since it's so pricey. I guess it's good for using before putting on makeup to give you a smooth base to work with. I have combo skin by the way. The cleanser was a surprise. It smells like something you would use to polish silverware (hence the 4 stars instead of 5), but it leaves the skin very plump and bright. I have a dry skin, so almost always after cleaning it I need to moisturize right away, with this, it was not the case. I did my regular nightly routine of cleaning, then an essence, moisturiser and an oil (the only new product was the cleanser); and the next morning my skin looked fresh and plump. I love it and will repurchase. It is worth its price.